The 57th edition of our journal, Panorama was published in December, 2018. 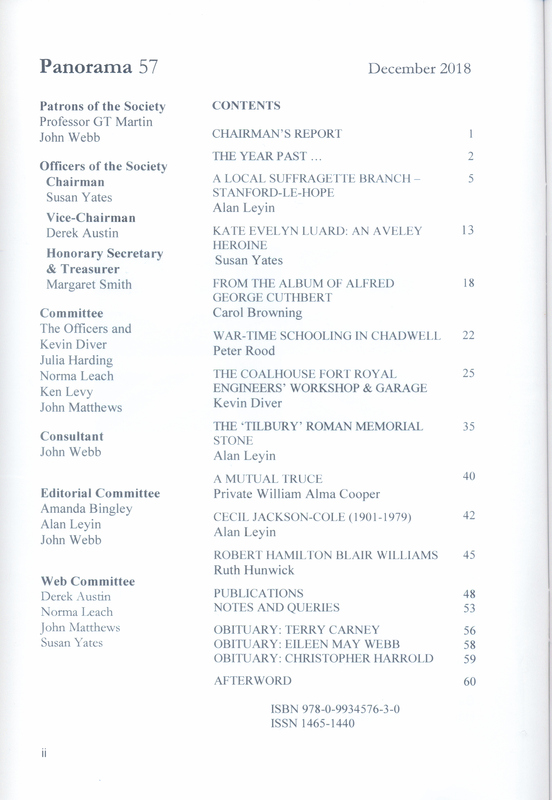 It was the last edition to be edited by Alan Leyin who has chosen to retire after many years valuable service on the editorial committee and who has edited the journal since the retirement of John Webb. 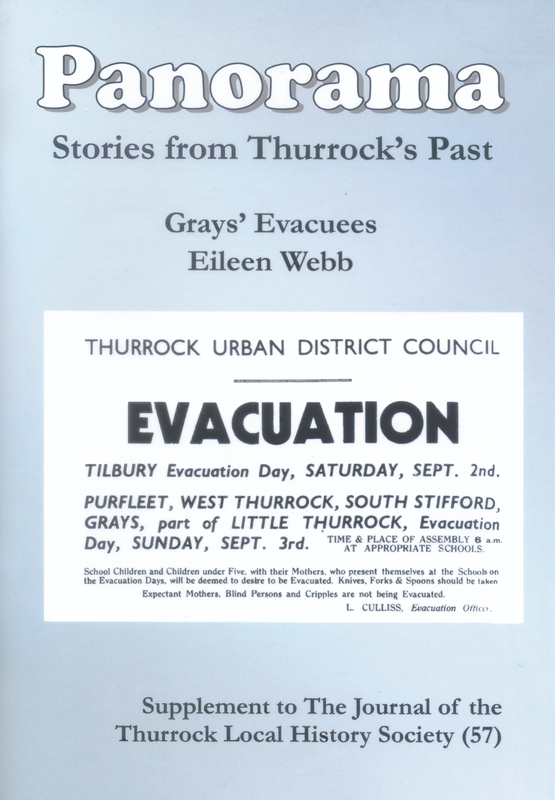 The initial print run of this edition was accompanied by a supplement describing the experiences of Eileen Webb as an evacuee from Grays during the 2nd World War and published as a tribute, following her death in2018. Eileen was the wife of John Webb who served as our chairman and journal editor for many years. The initial print run has now sold out and we have produced a limited reprint, although without the supplement. 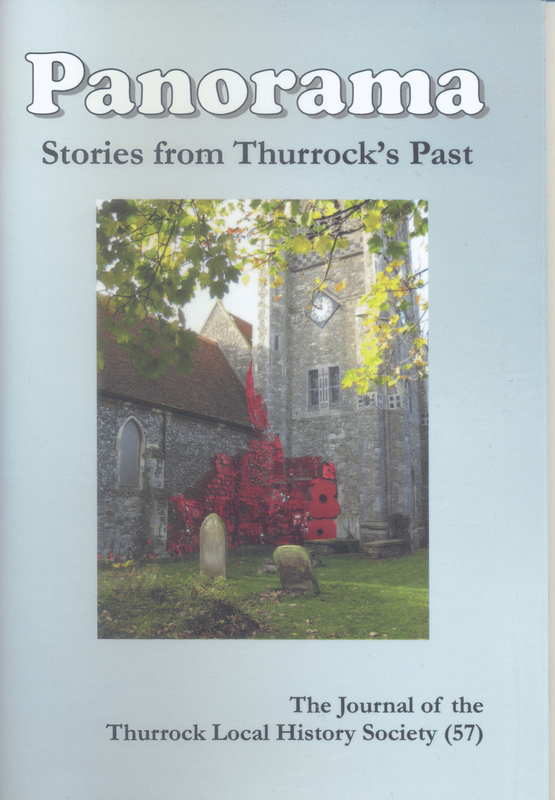 These will be available at our meetings, on Amazon and at events such as the Horndon Feast & Fayre and the Orsett Show.